Create and sell online courses with the easiest platform on the planet. Podia makes it easy by putting everything you need to create, sell and manage your online course in one place. And it's going to look beautiful. With Podia, you’ll never worry about your monthly price going up because your business is growing. All plans come with no limit on bandwidth, file size, number of courses, customers, sales or anything else. We’re excited for your growth, and we can’t wait to see it happen! Give customers immediate access to your online course, or deliver it section-by-section over time. 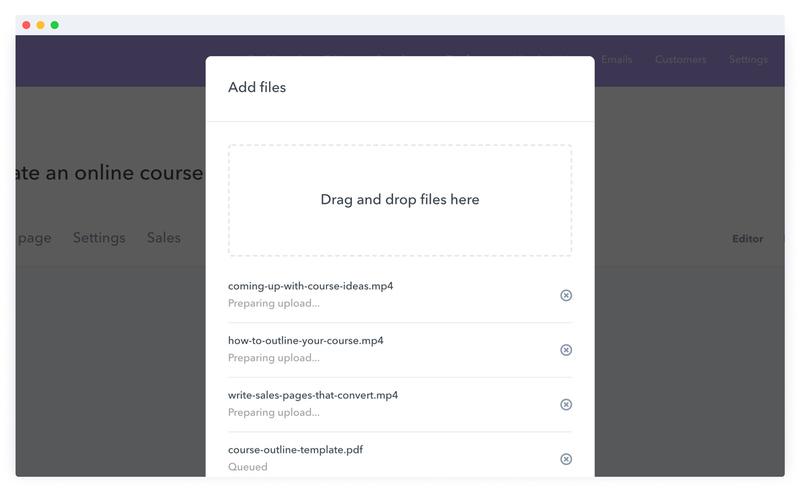 Dripping your course content gives you more control over the e-learning experience, while immediate access lets your students consume your course lessons at their own pace. Either way, how you deliver your content is up to you! Podia supports video, MP3, text, links, PDF, PSD, PPT and many other file types. 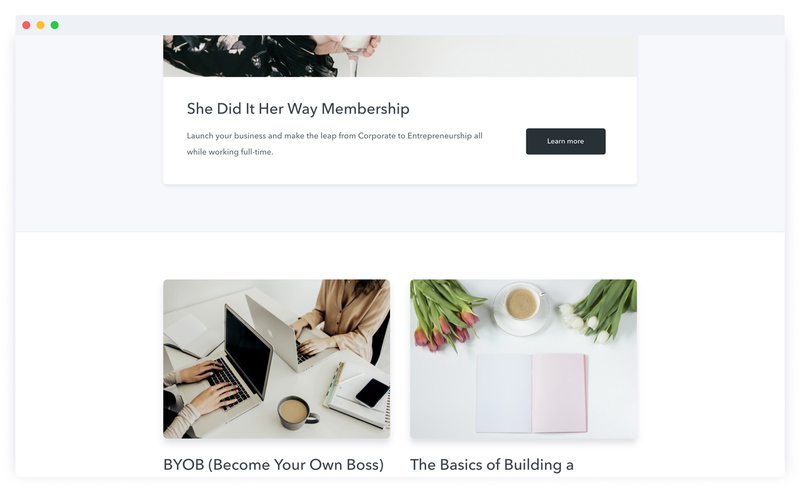 Whether you just want to add a bit of visual flair or need a fully customized long-form page, the Podia Editor gives you complete control over the look and feel of your Storefront and Sales Pages. And best of all, it couldn’t be simpler: your pages will look beautiful, no design experience required. Everything you need to create and sell your online course. 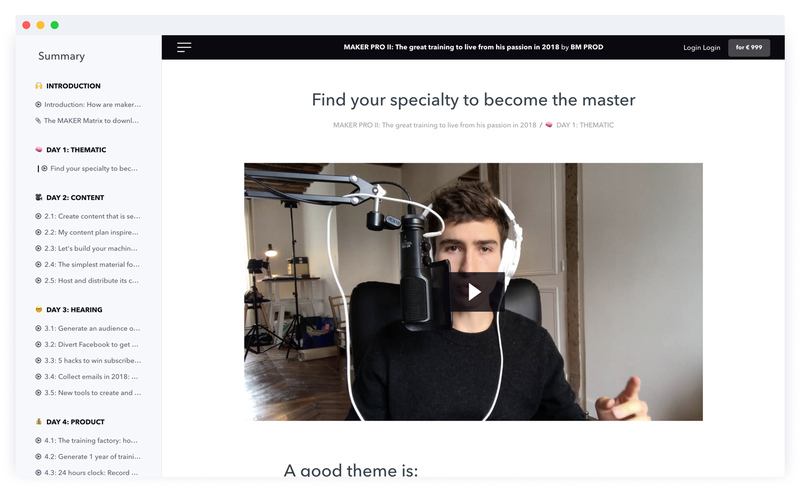 See how other creators are using Podia to sell online courses. “Podia has been a game changer for me. It allows me to create multiple revenue streams while keeping all my customers in one place." No design or development skills? No problem. 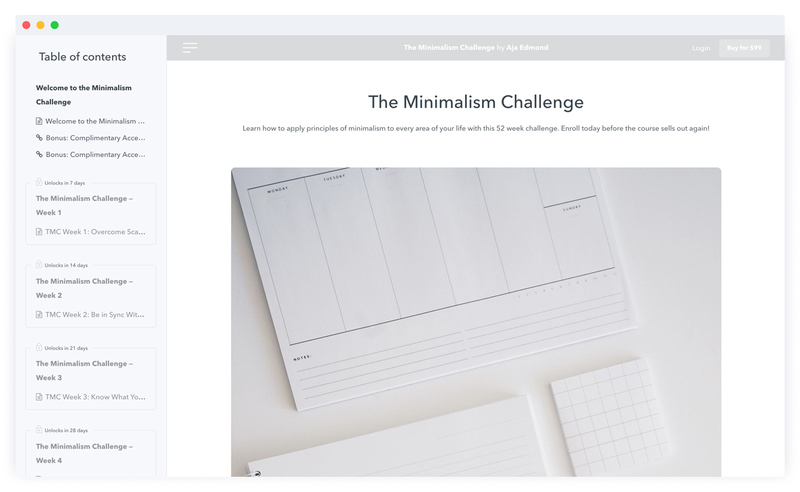 Podia makes it easy to create a beautiful course with a simple content builder, easy branding customization and support for content of all kinds. Upload videos, audio files and more; we’ll handle it all. 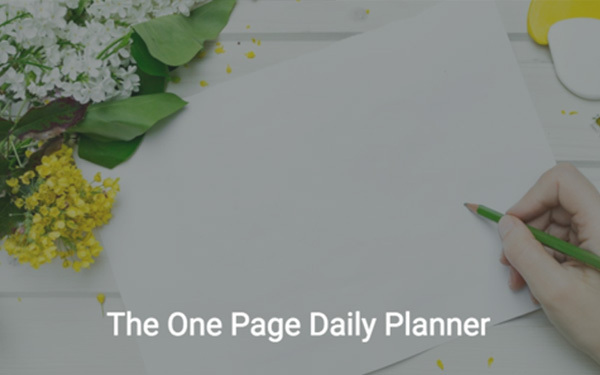 Earn more money with sales pages that have been tested and fine-tuned for conversions. Add extras like testimonials, an intro video, FAQ’s or coupons to help nudge people toward purchasing. Plus, Podia lets you accept Stripe, PayPal, and most international currencies safely and securely, making selling to your audience easy, wherever they are. We’re here to help you share your gift with the world. That’s why we insist on creator-friendly policies like instant payouts, no limits on number of products or file size, and zero transaction fees (yes, really). Best of all, you’ll get live chat support from people who love helping creators make a living from their passion. See how Podia works and get all of your questions answered in an upcoming webinar on Tuesday at 4pm EST. You sure can. Coupons can be a powerful way to increase course sales, and Podia lets you create coupons for your audience in just a couple of clicks. Coupons can be customized to be time-limited and usage-limited, too. What types of files can I upload? Anything you'd like. Podia’s e-learning platform supports video, audio, text, links, PDF, PSD, PPT, and many more. There are no limits on number of files or file sizes. Can I drip out the course content? You sure can. Dripping your course lessons over time can make online learning easier for your students. Setup your course to give customers access to new content every month, every week, every day, or at any time interval you prefer. How do I collect my payment? 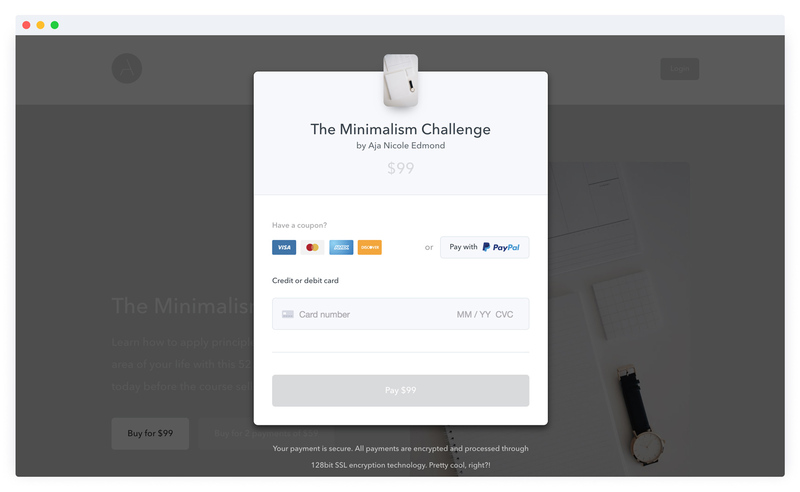 Getting paid on Podia is easy: just connect your Stripe or PayPal account, and you’ll get paid instantly whenever a customer buys your course. No hassle, no waiting 30 days to get paid, and no transaction fees charged by Podia! Can I create a sales funnel in Podia? Yep. Building an email list is an important part of growing a profitable online store, and Podia has everything you need to do it. Optimize your online store to get discovered on search engines and social media. 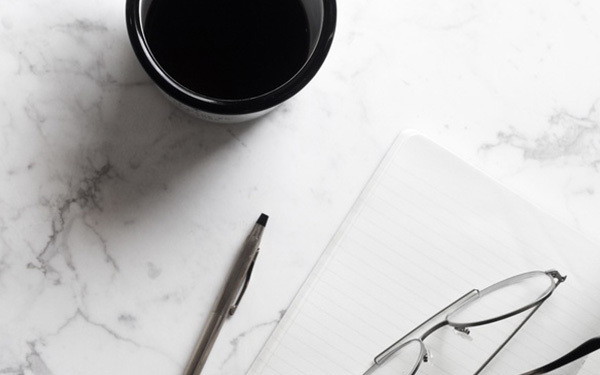 Collect emails from your potential customers, create a drip campaign to engage them over time, and grow your business by selling to warm leads! Do you do all of the hosting? Yes! 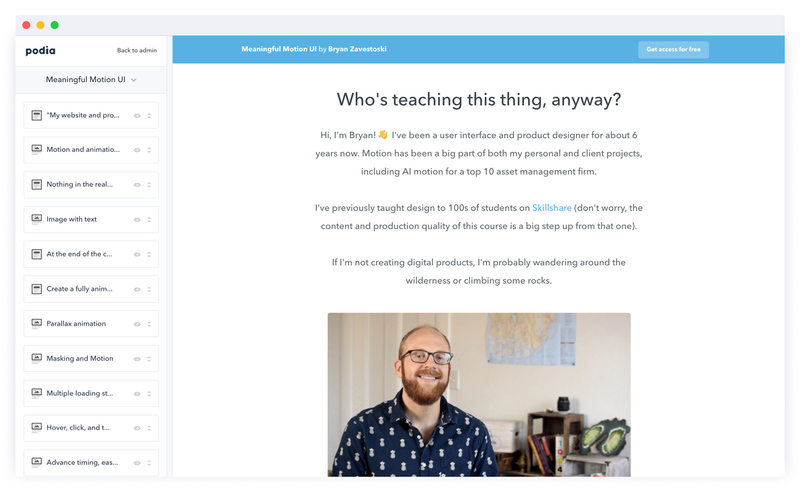 Podia hosts your online course content, your customer emails and your payments all on one platform, not to mention your other online products like Digital Downloads and Memberships. Best of all, there’s no limits on file sizes, audience numbers or anything else, so you can focus on selling online courses instead of worrying about your bill going up each month. What countries does Podia work in? Podia’s selling platform powers online stores for creators all over the world! We support 14 languages and 10 different international currencies, and you can change your language and currency in just a couple of clicks. No problem! You can chat with us right now by clicking this link here. We're here to help you build your online business! 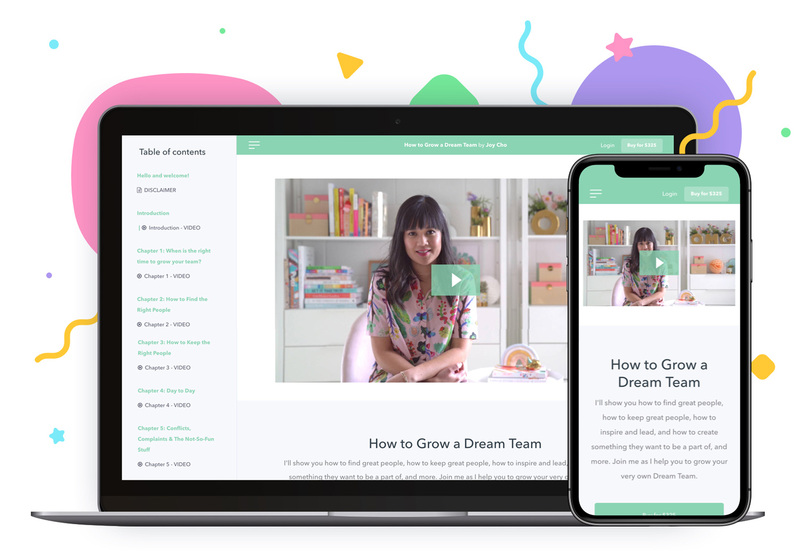 This guide is everything you need to know about creating, launching and selling a course this year. 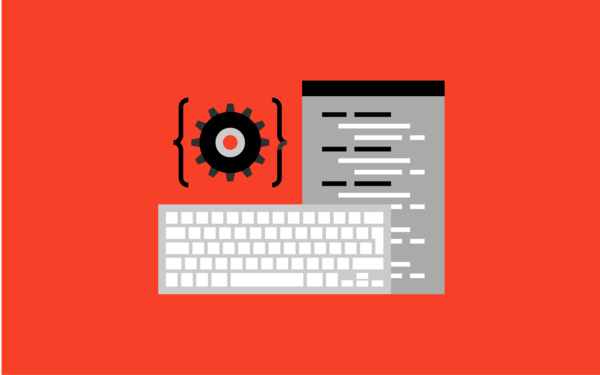 You're one step away from creating and selling your very own Online Course. Plans start at $39 / month. No Transaction fees. Unlimited everything. No credit card required. Cancel any time.